How about another cocktail series? This time a group of us are sharing our favorite Fall Cocktail recipes. Yup,it’s that time of year, when so many people are talking about pumpkin spice. Not me. I’m not much of a pumpkin fan. I don’t hate it, but I’d much rather have something else. Something like apples and cinnamon. Now that’s a fall flavor I love! How about you? 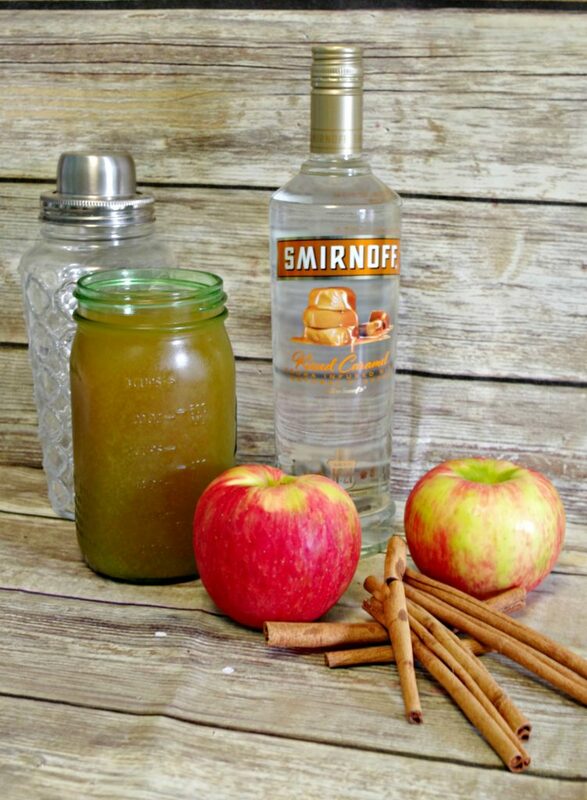 How would you like to have a nice, fresh cocktail made with apple cider with hints of cinnamon and a splash of caramel flavored vodka. An Apple Cinnamon Martini. 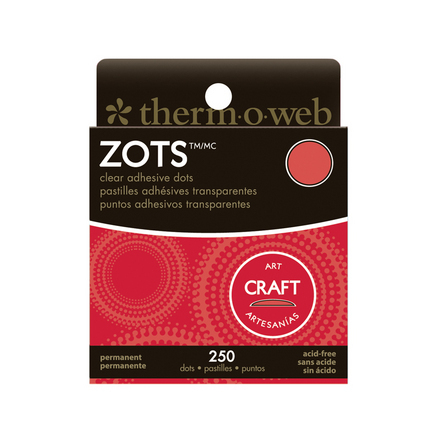 While so many of you enjoy reading my posts about crafts and DIY, you also really like a good cocktail recipe too! Amiright??? 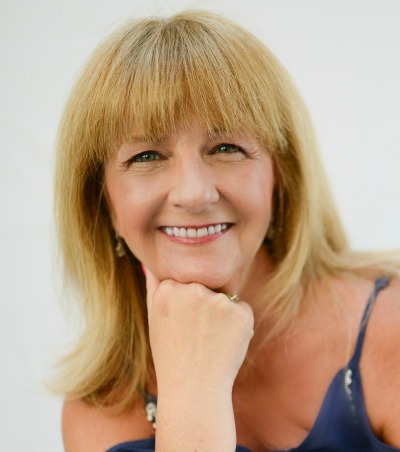 One of my most popular posts ever is my Strawberry Banana Pina Colada. Turns out you enjoy a good cocktail once in a while too. Just like me! 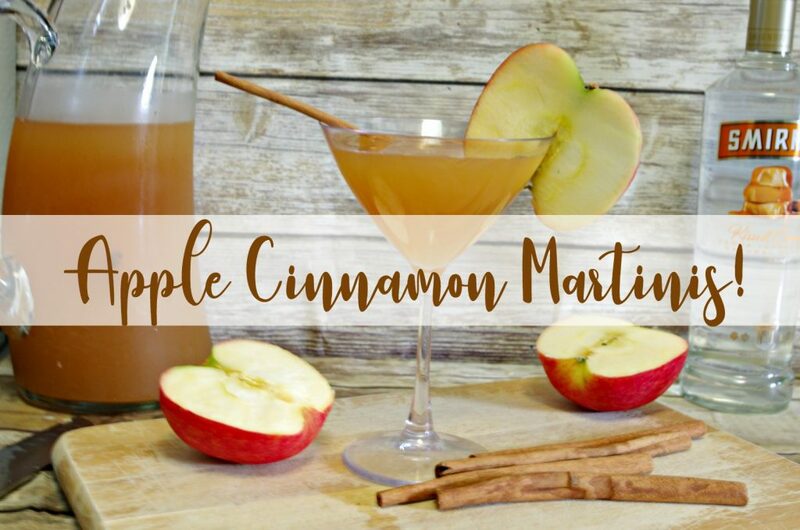 This easy-to-make Apple Cinnamon Martini is very much like the signature cocktail that we served at our wedding celebration three years ago. I like it so much because it’s just sweet enough without going over the top. What other flavors do you think when it comes to Fall? When I was in the grocery store yesterday getting the apples in the produce department, I was looking around at all of the locally grown produce. There were lots of plums, peaches, and pears. I love those fruits and may have to use them in the next Fall cocktail recipe. 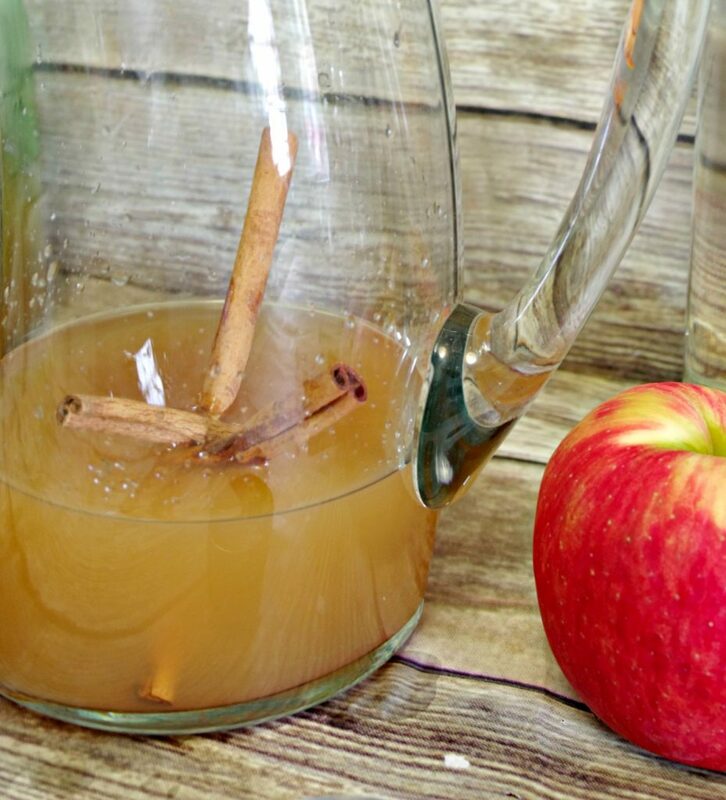 Combine 2 cups of apple cider, 2 ounces of caramel flavored vodka (more if you prefer a stronger cocktail), 1 teaspoon of lime juice, and 1/2 teaspoon of freshly grated cinnamon into a cocktail mixer. Shake. 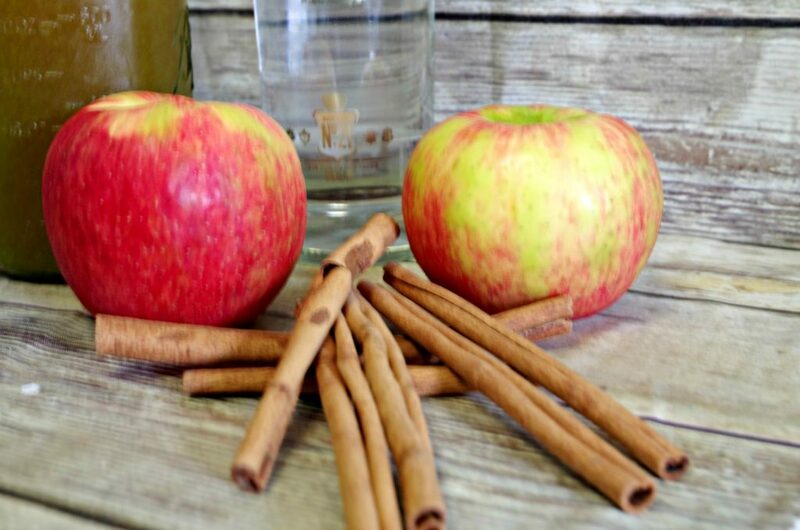 Pour into martini glasses and garnish with a fresh apple slice and a piece of a cinnamon stick. If you’re having company, double or triple the recipes and pour into a pretty glass pitcher. If you like it, pin it please! I am also not a huge pumpkin spice fan. I love it in my baked goods, but not really in my drinks, not even coffee! Apple cinnamon is more my speed. Can’t wait to try this martini recipe. It looks fantastic. While I LOVE pumpkin and pumpkin spice I love apples and and cinnamon just as much. 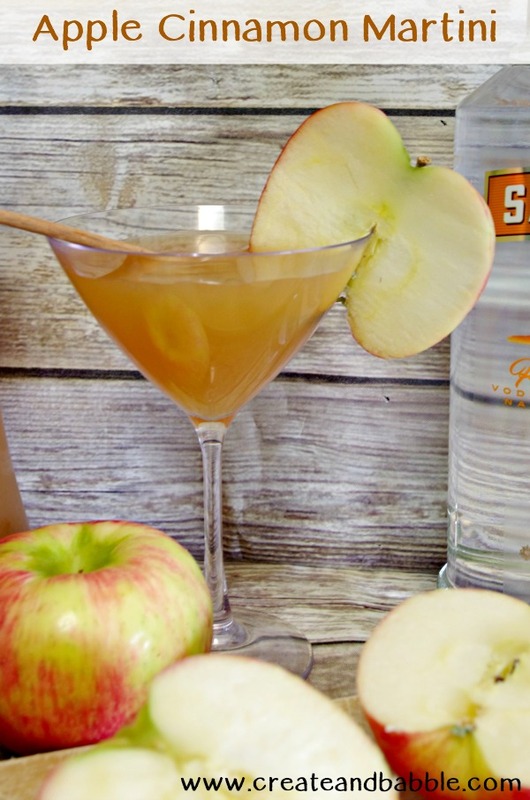 Although I sort of feel that pumpkin in better in coffee and apples are better in drinks so this apple caramel martini just sounds so good. I have never tried the caramel flavored vodka so I am up for that challenge! Thanks for this recipe! This sounds perfect for fall! I am picking apples from our trees this week, this would be a fun way enjoy them. I am not a pumpkin spice fan, but I adore fall and winter and all the smells and spices that come along with them! This sounds savory and sweet and delightful! Can’t wait to try it! This sounds delicious and I’m excited to try it. Thanks for sharing on To Grandma’s House We Go! That sounds delicious! 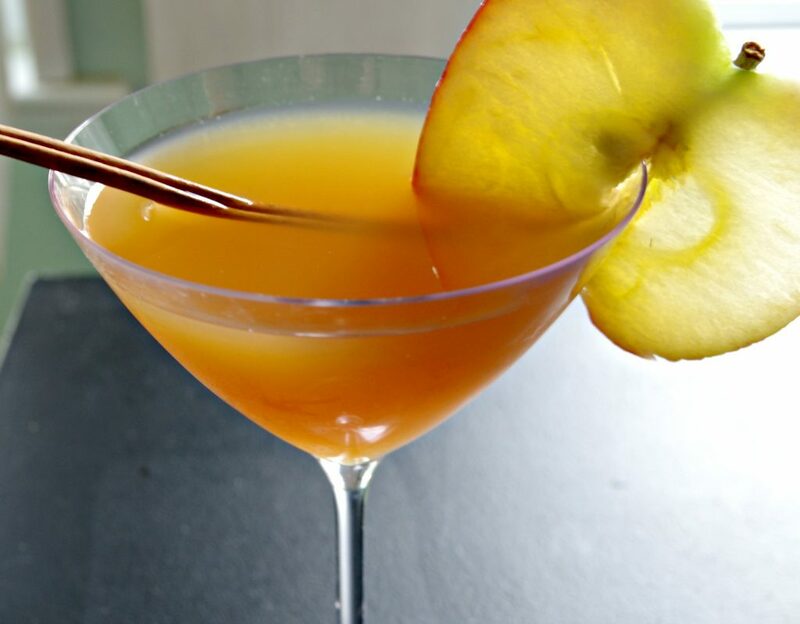 Even though I have never had a martini I do like the idea of combining apple, cinnamon and caramel. 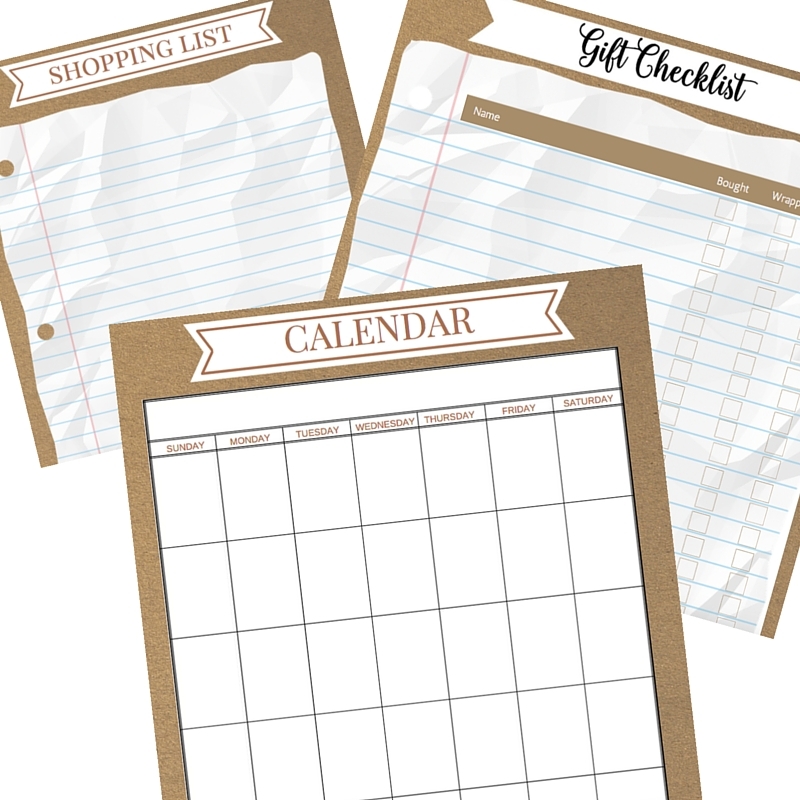 Thanks for sharing with us at the Hello Fall Linky. Pinned.